Culture shock is a process that happens to anyone who is transitioning into a new environment. Most people are unaware that some of the struggles they experience when they are adapting into a new culture are attributed to culture shock. You can’t escape it. It happens to everyone. If you are living in a new culture, or about to relocate to a new culture, you will experience culture shock. Culture shock is a process, that if left unattended can lead you to suffer for no reason. Understanding where you are in the process is what will help you acclimate to your environment confidently and effectively. 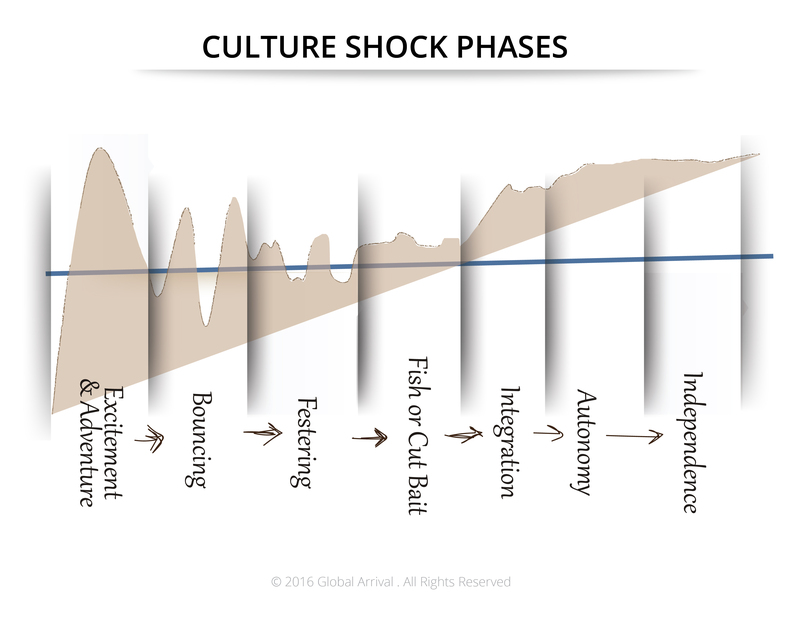 To learn more about culture shock and its distinct phases, download our handbook: CULTURE SHOCK IS NOT SO SHOCKING.